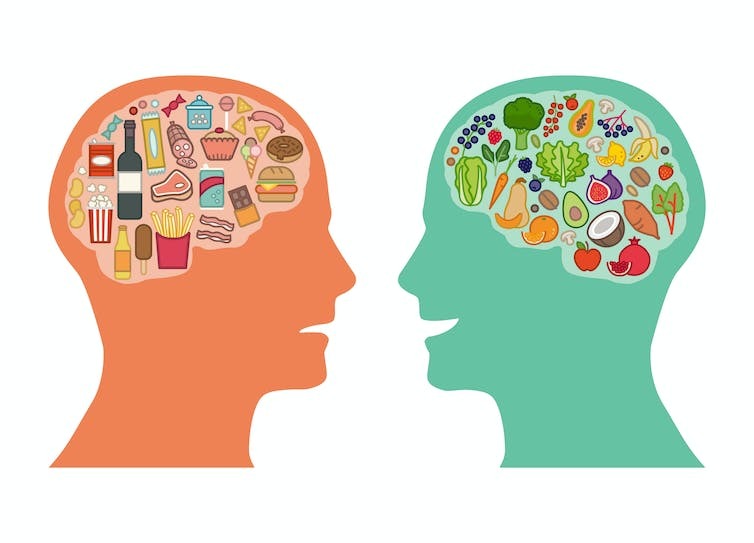 Foods like cakes and burgers lead to stronger activity in our brain’s reward areas in contrast to apples or salads. www.shutterstock.com . A part of the brain’s prefrontal cortex is strongly involved in self-control. CurtisCripe/flickr, CC BY. 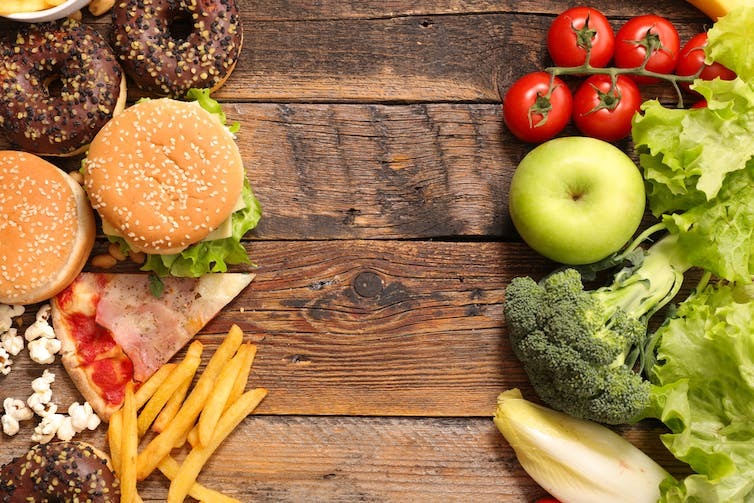 Research has begun to reveal why we are compelled to eat what we eat. It shows that food packaging plays a big part in influence choices. From www.shutterstock.com.